“Across the East Coast of the United States, some of the most visible forms for pre-contact Native American material culture can be found in the form of large earthen and shell mounds,” said Binghamton University anthropologist Carl Lipo. “Mounds and shell rings contain valuable information about the way in which past people lived in North America. As habitation sites, they can show us the kinds of foods that were eaten, the way in which the community lived, and how the community interacted with neighbors and their local environments. In areas that are deeply wooded or consist of bayous and swamps, there exist mounds that have eluded more than 150 years of archaeological survey and research. Due to vegetation, these kinds of environments make seeing more than a couple of dozen feet difficult, and even large mounds can be hidden from view, even when one systematically walks on the terrain. The use of satellites and new kinds of aerial sensors such as LiDAR (light detection and ranging) have transformed the way archaeologists can gather data about the archaeological record, said Lipo. Now scientists can study landscapes from images and peer through the forest canopy to look at the ground. LiDAR has been particularly effective at showing the characteristic rises in topography that mark the presence of mounds. The challenge to archaeologists, however, is to manage such a vast array of new data that are available for study. Object based image analysis (OBIA) allows archaeologists to configure a program to automatically detect features of interest. OBIA is a computer-based approach to use data from satellite images and aerial sensors to look for shapes and combinations of features that match objects of interest. 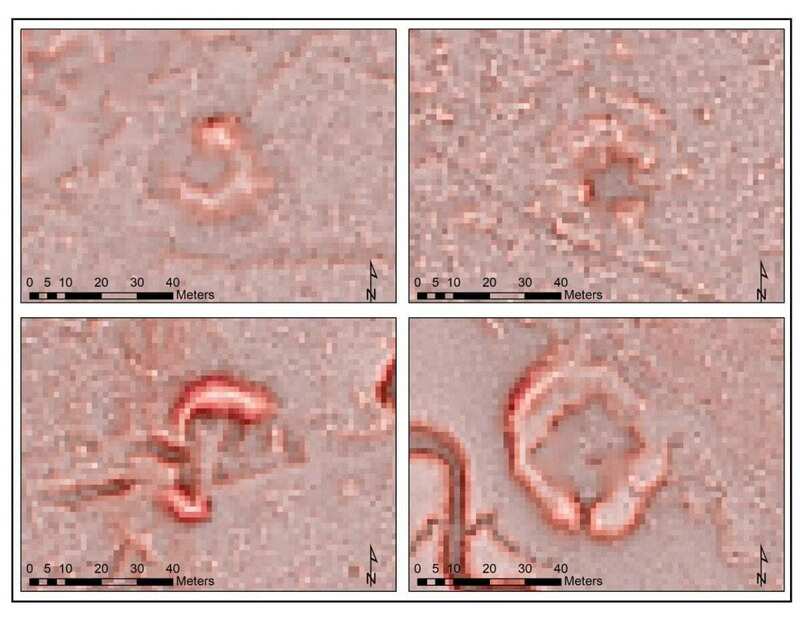 Unlike traditional satellite image analyses that looks at combinations of light wavelengths, OBIA adds characteristics of shape to the search algorithm, allowing archaeologists to more easily distinguish cultural from natural phenomena. 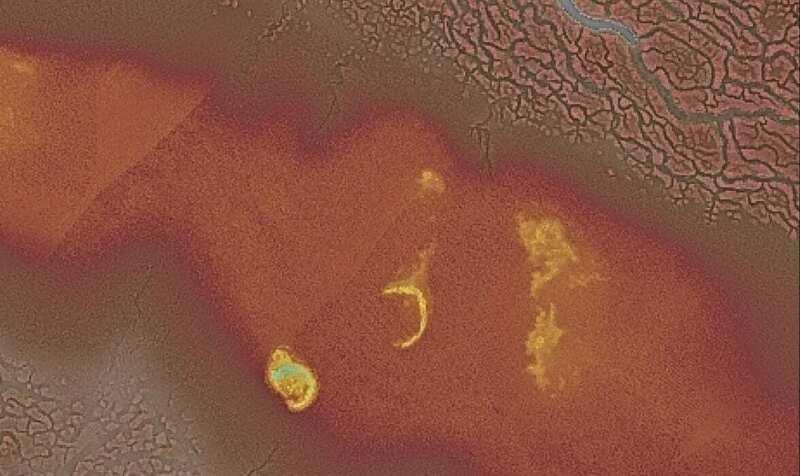 Lipo’s team systematically identified over 160 previously undetected mound features using LiDAR data from Beaufort County, S.C., and an OBIA approach. The result improves the overall knowledge of settlement patterns by providing systematic knowledge about past landscapes, said Lipo.